Work benches provide a number of different uses, proving their efficiency in several different home projects. For most DIY and renovation enthusiasts, a sawhorse is also an essential piece of equipment. At Ace, we have a wide variety of quality combination work benches and sawhorses to complete every task in one easy-to-use space. 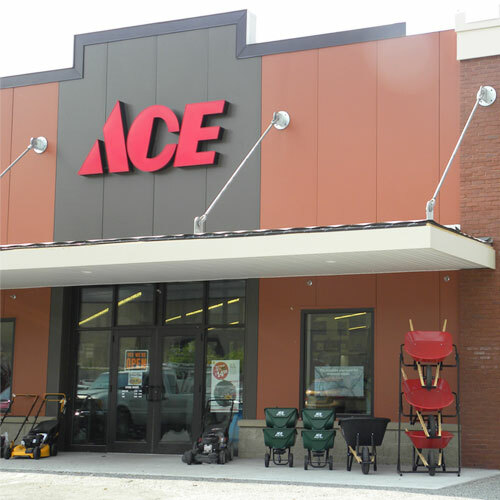 Shop Ace Hardware to find combination work benches and sawhorses to help you get every job done in a safe, effective manner. For maximum durability, consider a steel sawhorse. Metal sawhorse table legs are strong and less prone to bending or folding, making them ideal for cutting heavy or large pieces of wood. For convenient work benches, look for a sawhorse model featuring pre-drilled holes. Simply fit a wood top over the space to convert your sawhorse into an easy work space. Many people find that having their sawhorse serve double-duty as a work surface can help them save space and be more efficient. For regular movement on the job, shop for a fold-up sawhorse. These are ideal for construction sites or home renovation projects where site-specific work needs to be done. For large jobs or areas where many people need to work, buy an expandable sawhorse. These sawhorses can be used to create a large area for cutting on one side and a flat work surface on the other, allowing team members to come together on a single project. Once the job is done, fold the system down into a compact, lightweight unit for easy transport and storage. Helpful Hint: Get the most out of your sawhorses by looking for models that have grooves cut on both sides. If your sawhorse starts to show signs of wear and tear, simply flip it over and keep using it without risking the quality of your cuts or your safety. Always fully remove the top before using your sawhorse to make cuts. When making cuts, ensure your work stool and other items are completely out of your range of motion to avoid injury. Avoid leaving your sawhorse against a wall when you're making cuts, even if that's where you prefer to use it as a work bench. To make quality cuts without compromising your safety, you should always cut with open space on both sides of the bench. Do not stand or lean on the lower legs of your sawhorse when working. Even durable sawhorses can tip over and put you at risk. Workbench and sawhorse combinations can help you make the most of a tight work space or garage. Shop Ace to find affordable, high-quality tools to help you get any job – big or small – done the right way.